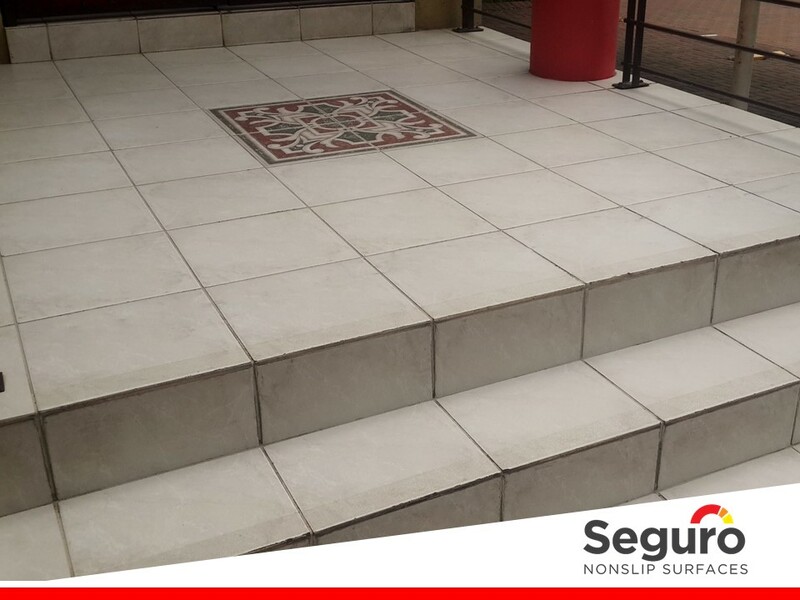 The steps and landing to the entrance of this office building in Lonehill is finished with ceramic tile. The tiles were very slippery when it rains. The client wanted to keep the tiles but make it safer to walk on to protect employees and visitors against slips and falls on the stairs. 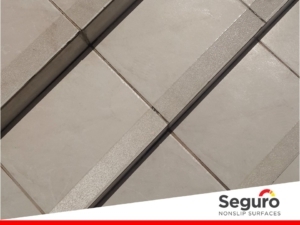 We recommended a good clean and applying our anti-slip coating to add slip-resistance to the surface without changing the appearance of the tiles. We also added a clear anti-slip tape to the stairs to prevent slips and trips in dry conditions. Leaving the entrance safer and restored to its original beauty with a little added bling.